With top-grain leather and vinyl upholstery, several power reclining options, and high-quality framing, this incredible collection will quickly turn your living room into everyone's favorite place to be. 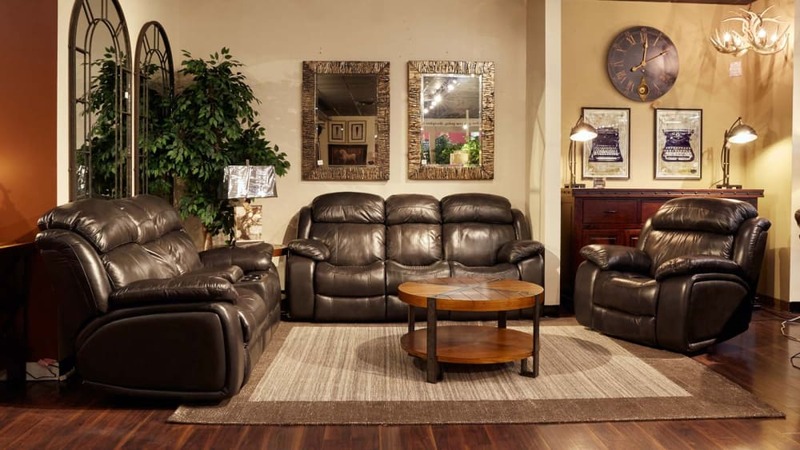 Use Gallery Furniture's famous, same-day delivery service, and you can start reclining in comfort TODAY! Industry-leading, high-quality laminate frames will provide incredible support for years. The pieces in this collection boast jointless, one-piece arm construction, for added strength. High-resiliency polyurethane foam increases the comfort of the seating even more! With top-grain, aniline-dyed leather everywhere you touch, as well as high-quality vinyl sides and back to keep costs down, this collection will stay stylish and beautiful for years. This furniture uses power-assisted recline and chaise extensions which will bring you into a blissful reclining position, at the simple touch of a button.